Evolve Beauty is a UK artisan producer of organic and natural skin, body and hair products. All products are small batch, vegan and cruelty free. 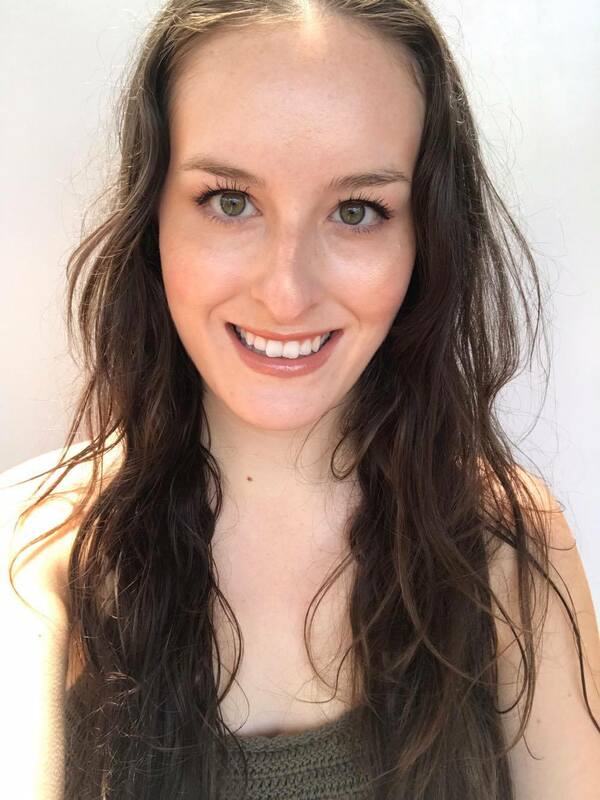 I was lucky enough to be sent Evolve Beauty's brand new hair serum to try out and review, and I had to share my thoughts with you guys! Evolve Beauty's Nourishing Hair Elixir is a weightless hair serum that has been formulated with a 100% natural replacement to silicone, leaving hair incredibly soft, light and moisturised. This serum contains Moroccan Organic Argan Oil, Organic Baobob Oil and Tahitian Monoi to control frizz and fly-aways and hydrate hair. The main ingredient of this serum; Argan Oil, is a powerhouse ingredient. Moroccan Argan Oil is a natural remedy for restoring hair and keeping cuticles moisturised. It is rich in Vitamin E and fatty acid and is easily absorbed, leaving hair protected from further damages. This serum also contains Baobob Oil. Baobab is well known for its amazing benefits on the skin and hair. Various parts of the Baobab tree have been consumed since ancient times for its extremely high concentration of calcium and Vitamin C. Baobab Oil also contains high levels of proteins and Vitamin A. The enriching Baobab Oil nourishes, improves hair elasticity and encourages cell regeneration. Baobab is rich in antioxidants which will help protect the hair from environmental damage. Lastly, Tahitian Monoi has been added to this serum for its amazing qualities. Considered the "sacred oil of the Polynesians", Monoi is made by maceration of thousands of Tahitian Gardenia blossoms into Coconut Oil. It has been a Polynesian beauty secret for centuries. Delicately fragranced, Monoi will help stop protein loss from the hair and therefore help to slow or stop damages. It reduces frizz whilst adding brilliance and shine for healthier hair. This serum can be used on wet or dry hair. I prefer to use this on freshly towel dried hair, applying just a few drops to the ends of my long fine hair. Those with short and/or fine hair will find they may need less. Because you don't need much product, a full sized bottle (30ml) will last a really long time. This is the best natural hair oil serum I have tried! It leaves my hair so incredibly soft and shiny, without feeling weighed down or looking oily. It actually does feel like the silicone hair products I have used in the past. This product tackles my dry, sun damaged hair and leaves it feeling detangled and much smoother. Full Ingredients: Isoamyl Laurate, Argania Spinosa (Argan) Kernel Oil*, Adansonia Digitata (Baobab) Seed Oil*, Cocos Nucifera (Coconut) Oil, Isoamyl Cocoate, Parfum (Fragrance), Gardenia Tahitensis Flower Extract, Citral, Citronellol, Geranoiol, d-Limonene, Linalol. *Ingredients from Organic Farming. 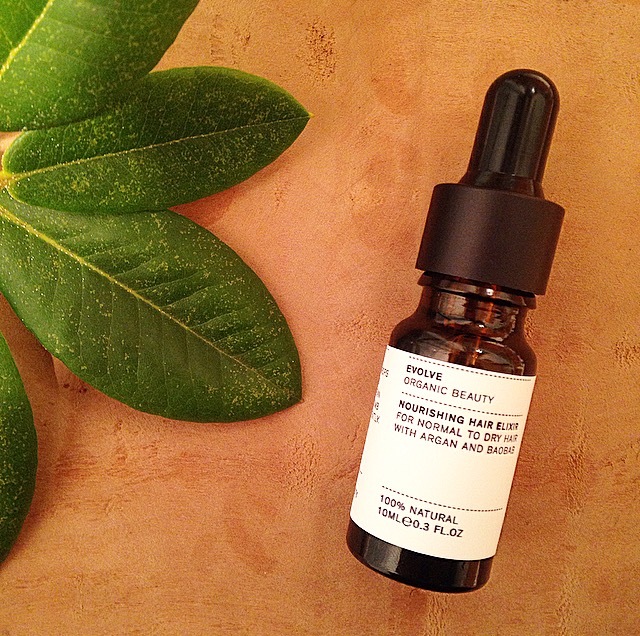 This serum is 100% natural, and 40% organic, and smells glorious. I can't think of any reason why you shouldn't try this product. You can grab it here, at Evolve Beauty's website.